Is TM the remedy for your hectic life? Transcendental Meditation (TM) is an ancient Indian meditation technique that was introduced in the United States by the late Maharishi Mahesh Yogi in the 1960s. You may recall the stories of the Beatles following the Maharishi for spiritual guidance and advocating for TM. Currently, millions of people practice TM, including Dr. Oz, Oprah, Russell Simmons, Ellen DeGeneres, Jerry Seinfeld, and Howard Stern. First, what it is not. It’s not a religion or cult. The practice is simple and effortless. You sit in a comfortable chair and close your eyes for 15–20 minutes twice per day and silently repeat your mantra. Sounds easy, right? Why do so many people practice it, and can it help me get through the day? During TM, the active mind settles down to a state where the mind is silent yet alert. At the same time, the body goes into a profound state of rest and relaxation. According to TM teachers, this “restful alertness” develops the total brain and eliminates accumulated stress and fatigue. This experience is the basis for the increased creativity and intelligence and improved health reported by people who practice the TM technique. Start by going to a TM center. You can probably find one in or close to your city. They will suggest you sign up for an introductory course that requires about a four-hour commitment over the course of two weeks (not including the time spent meditating). You will meet one-on-one with a certified TM teacher who will take you through a series of Vedic chants and assign you your mantra, or meaningless sound. This mantra is for you to have forever and never to share with anyone else. Students are taught to meditate every day; once in the morning and again in the early evening. One sits quietly, thinks of her mantra, and the mind becomes very still. Beginners may experience a phenomenon called “monkey mind.” This is the mind’s natural tendency to constantly jump from thought to thought. Over the course of the two weeks, you will be honing your new practice while having access to your teacher and your introductory course for questions and answers. It will surprise you how something as simple as sitting in a chair with your eyes closed will generate so many questions—but it does! After the course, you are invited back for group meditation and discussion, guest speakers, and other activities that the center hosts. You can participate or not, but you will also have to find time to carve out your 20 minutes twice a day. Not easy for a busy Solo Mom. You may have to wake up a few minutes earlier and/or get help preparing dinner or find some quiet time during your workday. Think of it is as 20 minutes less of meaningless chatter, office gossip, or internet surfing. Instead, you can use the time to do something nice for yourself. The average cost to join is $800-$1,000, but that is a one-time lifetime fee. Most TM practitioners will tell you it’s well worth the investment. Why practice TM and not another meditation technique? All meditation is beneficial, but the TM organization has tremendous research to back up their practice. Several health and medical institutions like the National Institute of Health (NIH) and American Heart Association (AHA) have funded TM research. Over 600 scientific studies have been published in peer-reviewed medical journals. Studies have been conducted through Harvard, Cornell, and UCLA medical schools. The director of the TM organization in the United States is John Hagelin, PhD, a quantum physicist from Harvard. He has spent 25 years investigating the science of human consciousness and currently teaches a class in physics at the Maharishi University of Management at Fairfield, Iowa. Yes, there is a Maharishi University in Middle America. A small trial conducted by the Maharishi University of Management and the Medical College of Wisconsin studied people with established heart disease. It found that TM reduced strokes, heart attacks, and deaths by around 50%. TM researchers study brain waves and examine meditators versus nonmeditators. They use EEG (a test that measures and records the electrical activity of the brain) to look at the prefrontal cortex. This is the part of the brain responsible for judgement, planning, and problem solving. When we’re under stress, that gets shut down and we may become more impulsive. When we meditate, the stress reduces, and the whole brain starts to once again function the way it was meant to. So then we’re able to be more insightful. To obtain more information or learn more about these studies, you can go to www.TM.org. Can my kids practice with me? Absolutely! A growing number of schools across the United States have made TM part of the curriculum. Studies are showing academic performance improve and the kids becoming more mature, being more cooperative, and running into fewer behavioral problems. And the cost for kids to join is less than adults. 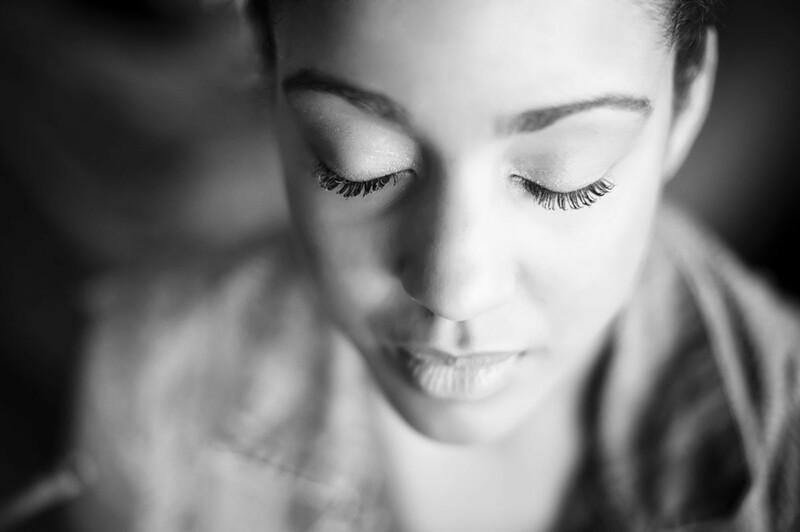 Whether or not you choose to learn Transcendental Meditation is really a personal choice. But there’s one thing we do know for certain: practicing meditation will give the Solo Mom a renewed energy, sense of calm, and improve the ability to function and cope in a chaotic world.